The national council of Alpha Sigma Alpha established the alumnae chapter excellence awards to recognize the alumnae chapters that demonstrate the lifetime dedication to the sorority through chapter management and programming. There are three levels of recognition: Palm, Star, and Crown. Alumnae chapters qualifying for the Crown Recognition will be considered for the Crown of Excellence recognition, given to one alumnae chapter annually. Headquarters staff will track the scoring for alumnae chapter awards through the submission of reports. Crown Recognition chapters are eligible for consideration for the Crown of Excellence. There are additional alumnae chapter awards that are offered on a biennial basis at the national convention, and recognize the outstanding achievements in areas of membership growth, alumnae panhellenic engagement, collegiate relations, programming, and community involvement, service and giving. Outstanding Membership Growth  Recognizes a chapter committed to supporting alumnae initiation, alumnae member recruitment and has seen a significant growth in their chapter size. Outstanding Alumnae Panhellenic Engagement  Recognizes a chapter which actively supports their alumnae Panhellenic group, Panhellenic service and giving opportunities, and Panhellenic activities in their area. 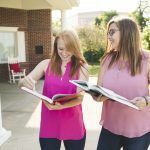 Outstanding Collegiate Chapter Relations  Recognizes an alumnae chapter which provides exceptional support to a collegiate chapter or several collegiate chapters. Outstanding Programs  Recognizes an alumnae chapter which has created and implemented programs that reflect the Sorority’s mission, values and four aims. Outstanding Community Involvement, Service and Giving  Recognizes a chapter which demonstrates a commitment to service and giving to national philanthropic partners and their local community.